Brandi Roth, Ph.D. is a psychologist, consultant, educator, author and faculty member of The William Glasser Institute. Her books, including Choosing the Right School for Your Child, and Secrets to School Success; Guiding Your Child Through a Joyous Learning Experience, co-authored with Fay Van Der Kar Levinson, are guidebooks for parents through the process of school selection and school life. She co-authored Relationship Counseling with Choice Theory Strategies with Clarann Goldring, Ph.D. Dr. Roth specializes in relationship counseling. Carleen Glasser, M.A. is an educator, school counselor and a senior faculty member of The William Glasser Institute. She currently teaches Choice Theory throughout the world with her husband, William Glasser, M.D. She co-authored three books with Dr. Glasser, The Language of Choice Theory, What Is This Thing Called Love? and Getting Together and Staying Together. Her mission is to promote Choice Theory and its applications to help people learn to live happier, healthier and more productive lives. 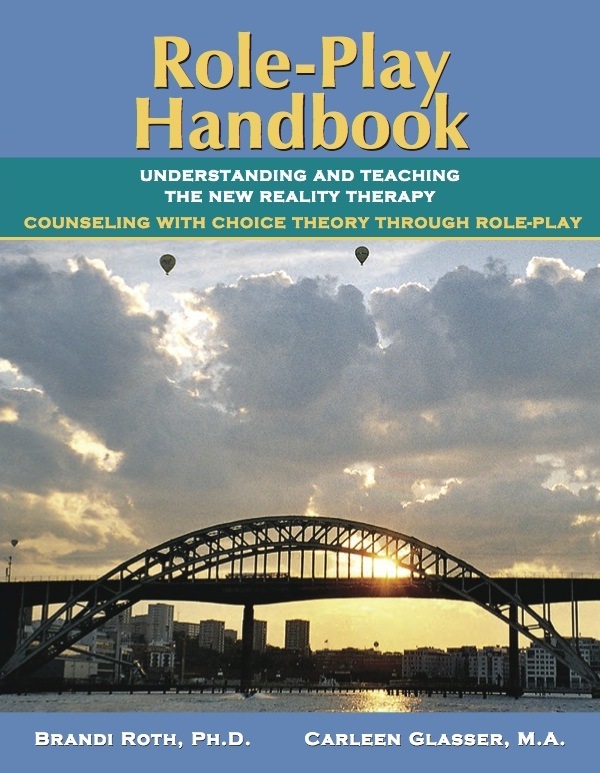 ROLE-PLAY HANDBOOK, UNDERSTANDING AND TEACHING THE NEW REALITY THERAPY, COUNSELING WITH CHOICE THEORY is designed for faculty members teaching William Glasser's theories on Reality Therapy, Choice Theory, Lead Management and Quality Schools.